Don’t expect President Barack Obama to look into President Dmitri Medvedev’s eyes and “get a sense of his soul” when he meets his Russian counterpart on Wednesday at the G-20 summit in London. That was what then President George W. Bush claimed to have done during his first meeting with Vladimir Putin early in 2001, but Obama and Medvedev have more immediate and practical concerns: Washington urgently needs Moscow’s help in achieving one of its key foreign policy priorities  containing Iran’s nuclear ambitions. But Russia will cooperate only if it’s satisfied that Obama has abandoned the more confrontational approach of the Bush Administration toward Iran. Russia’s centrality to the issue lies in the facts that it is building Iran’s civilian nuclear reactor at Bushehr and it is the Islamic Republic’s key supplier of high-tech weaponry. Moscow’s support is also critical to the U.S.’s efforts to use sanctions to pressure Iran to back down on the nuclear issue. 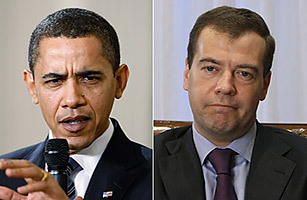 Wednesday’s meeting between Obama and Medvedev could provide an important indicator of whether Washington will get the help it seeks. According to Russia’s ambassador to NATO, Dmitri Rogozin, Moscow will use the Obama-Medvedev meeting as an opportunity to assess how far the new Administration plans to go in pursuit of Obama’s promised “new beginning” with Iran. The answer could shape Moscow’s decisions with respect to supplying key military technology to Tehran. “All the issues of Iran will be decided on what we have more of in our talks  the hope for peace, or the ‘hope’ of threats,” Rogozin tells TIME. Iran has negotiated an agreement for Russia to supply it with the S-300 surface-to-air missile system, which is far more accurate, and at a far greater range, than Iran’s current air defenses are and would greatly enhance Iran’s capacity to ward off a pre-emptive Israeli or U.S. air strike aimed at its nuclear facilities. The State Department’s key adviser on Iran, Dennis Ross, warned last month that Israel could be tempted to strike before the delivery of S-300 missiles . Russia, in fact, appears to already have put the S-300 delivery to Iran on hold while it waits to see what approach Obama’s Administration adopts in dealing with Tehran’s nuclear program. “On a political level, [the Russians] have put the sale on hold  that’s new,” says Cliff Kupchan, an expert on Russia and Iran at the Eurasia Group in Washington. Besides a new stance toward Tehran, Obama can offer Russia two further inducements to cooperate on Iran: a tacit delay  perhaps for years  in plans to deploy a U.S. missile-defense system in Poland and the Czech Republic, and plans to extend NATO membership to Georgia and Ukraine. Both issues are on the table at this week’s NATO summit in France and Germany, although with no link to Iran. Indeed, Iran is not the only issue on which the U.S. and its allies need Russian help: Moscow’s cooperation may be the key element in securing alternative supply routes for NATO troops in Afghanistan, given the ease with which Taliban-aligned forces are able to attack the supply lines through Pakistan on which the mission currently depends. See pictures of people around the world watching Obama’s Inauguration. For Obama, the Clock on Iran Is Ticking  But How Fast?